When the same jobs go unfilled month after month, it does more than hurt your bottom line. From a poorly perceived employment brand to impacting your organization's ability to effectively recruit in the future, a failing recruitment strategy is a difficult trend to reverse. 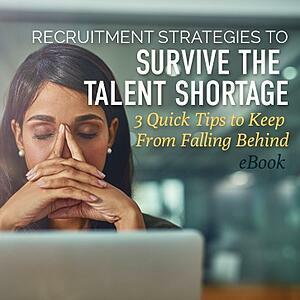 Download this quick read to uncover expert recruitment strategies to survive and navigate the ongoing talent shortage that is plaguing U.S. companies.